CURE Niger celebrated its eighth anniversary on October 10th, 2018. 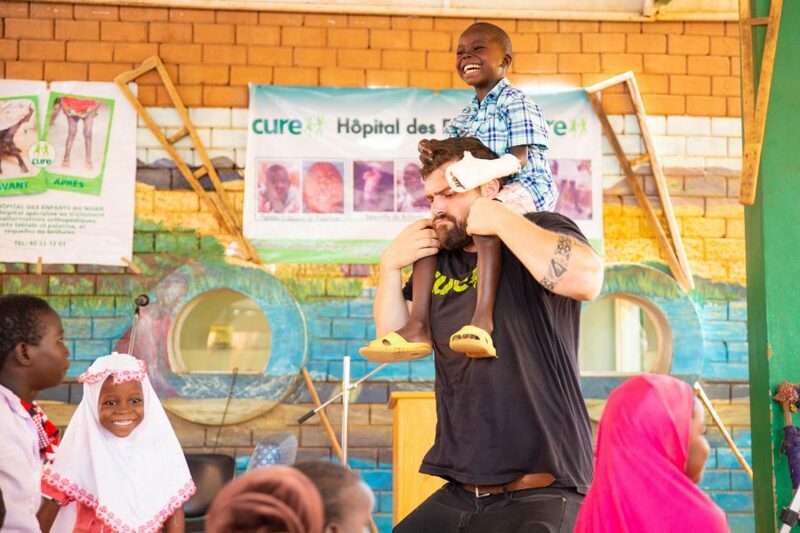 We celebrated with all of CURE Niger’s staff and patients. Several dignitaries were in attendance, including: Niger’s Minister of Community Development, Abdou Amani; Niger’s Director of the Health Ministry Cabinet, Ismaril Anar Zakara; CURE’s Chief Medical Officer, Dr. Greg Bellig; CURE’s VP of Operations, Peter Kyalo; CURE’s Senior Director of Spiritual Ministry, Earnest Kioko; and CURE board member and CURE Niger benefactor, Marcia Lanoha. 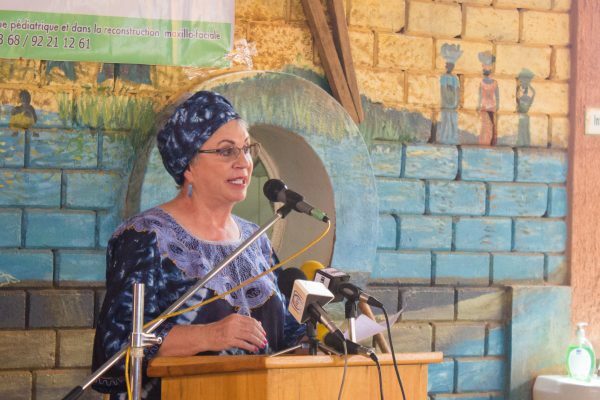 CURE board member and CURE Niger benefactor, Marcia Lanoha, shares some reflections during the ceremony. 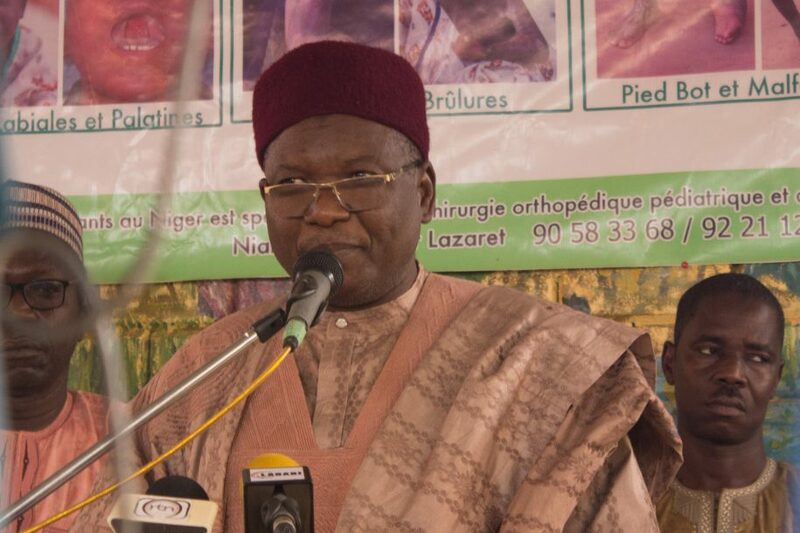 “CURE Niger is among the best NGOs that work in the Nigerien health sector!” stated Minister of Community Development Abdou Amani within his speech. 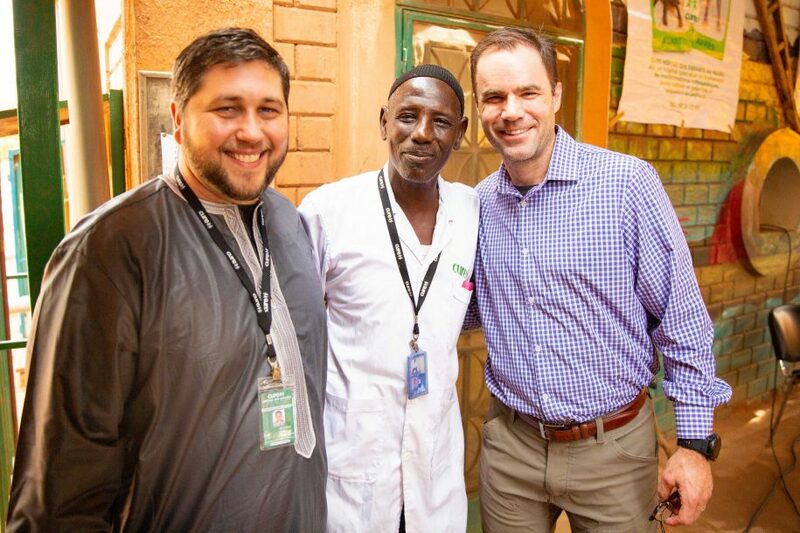 He went on to give three awards to CURE Niger staff members, and the first went to Joshua Korn, CURE Niger’s outgoing Executive Director, for being an understanding director who is easy to work with. 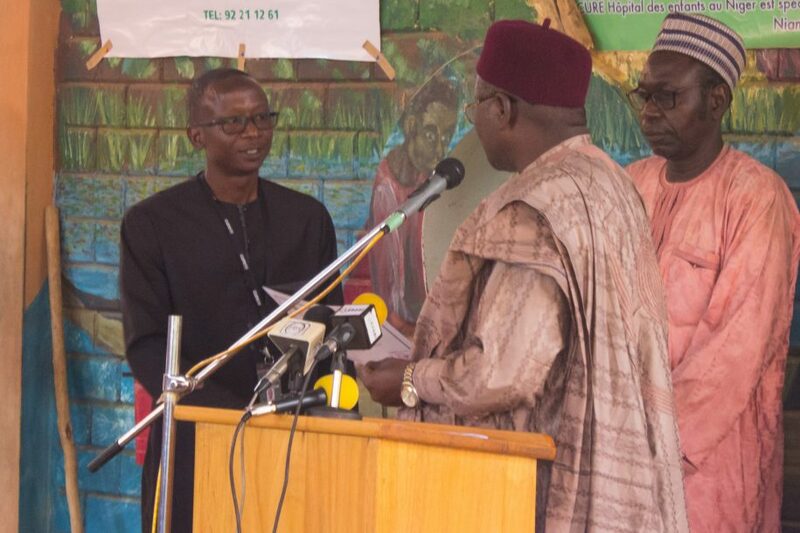 The second award went to Dr. Diane Nahimana for, as he put it, “being the best anesthetist in Niger.” The final award went to Hassan Hamani, who is in charge of logistics and public relations for CURE Niger. 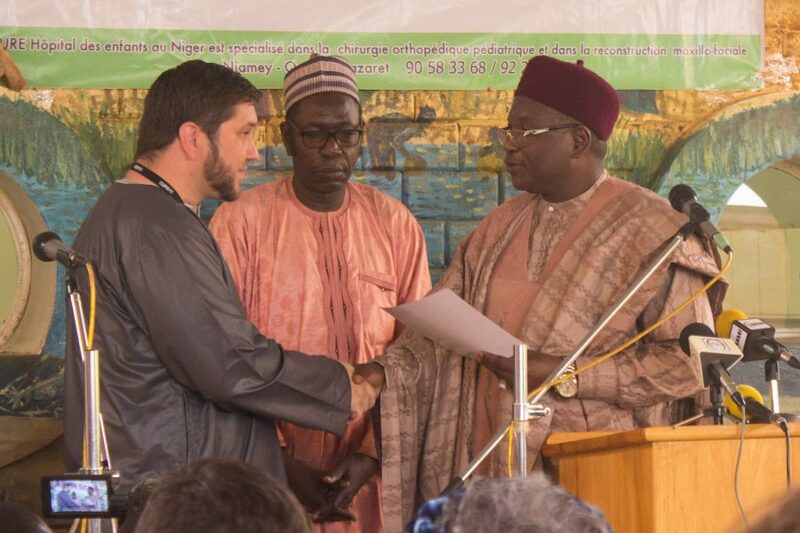 Hassan received an award for being an exemplary intermediary between the Nigerien government and CURE Niger. Niger’s Minister of Community Development Abdou Amani shares about both his personal and the government’s relationship with CURE. 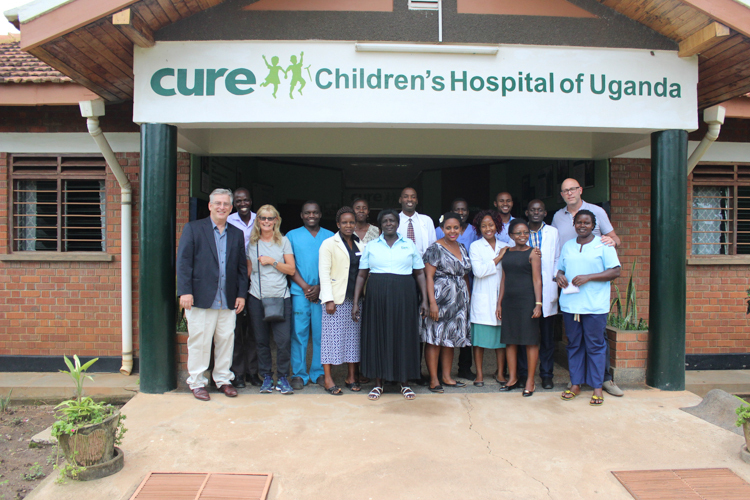 Joshua Korn, outgoing Executive Director, reflects upon his seven-year tenure working at CURE. After Josh said goodbye, we heard from our new Executive Director, George Găvrus. 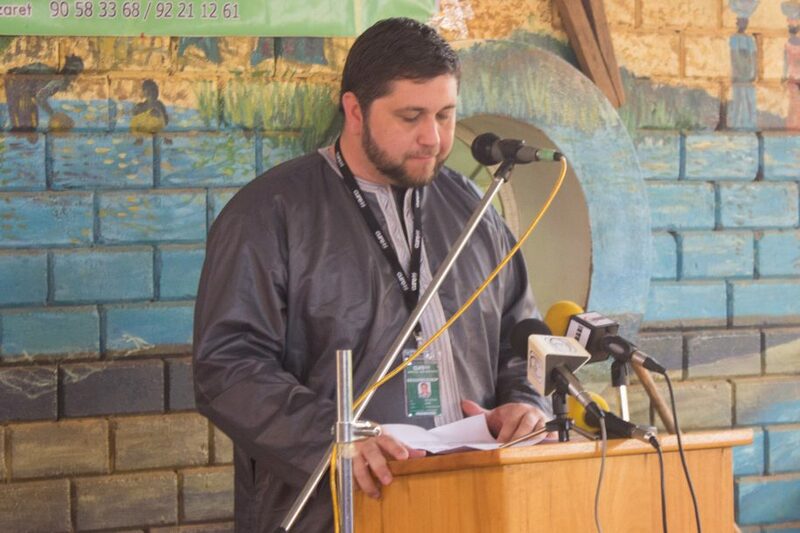 He told us that moving to Niger has been a humbling experience, and he expressed his desire that his time here will be a blessing to everyone. 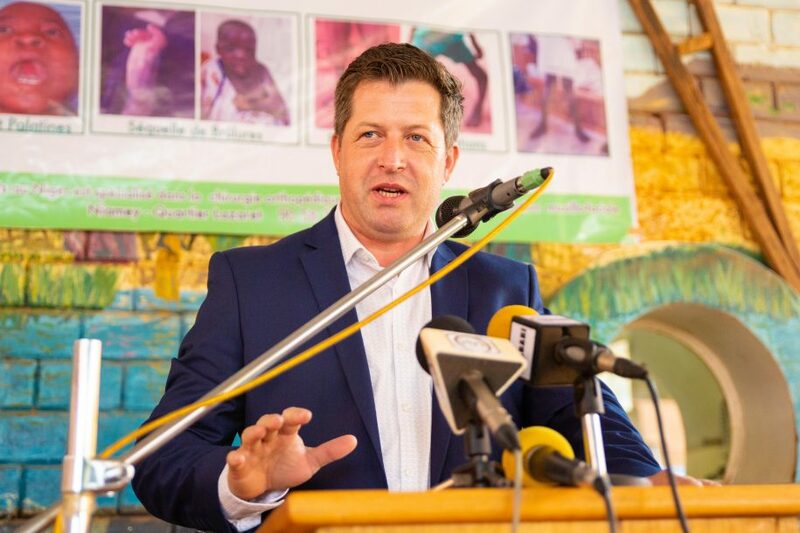 Incoming Executive Director George Găvrus shares initial thoughts and impressions as well as his hopes for the future of CURE Niger. 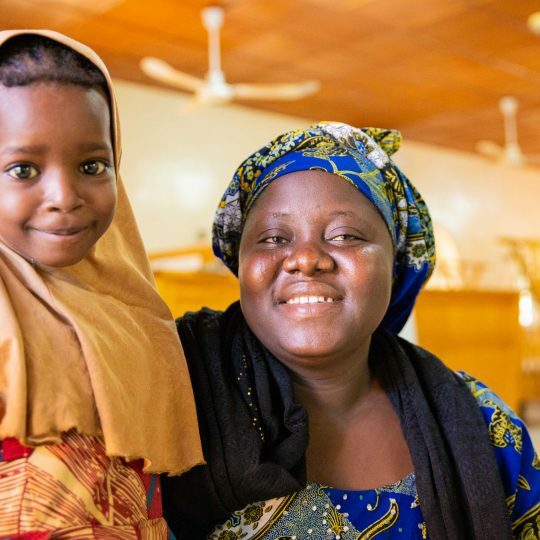 The ceremony concluded with the testimony of Kabirou, CURE Niger’s very first patient, who was treated for a neglected clubfoot. “CURE Niger saved my life!” he told the crowd emphatically. “I was too ashamed to come out of my house, too ashamed to go to school. I started school late because I did not want people to see me the way I was. 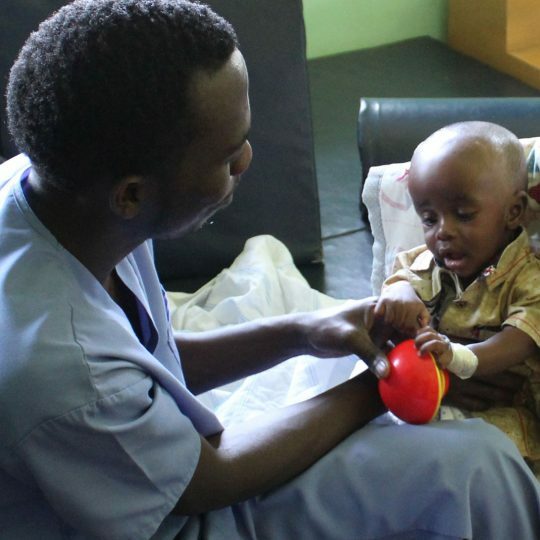 When CURE Niger first opened in 2010, I was the very first patient to be operated on. The surgery lasted 7 hours, but it was all worth it because that was my first step towards healing. I am now in my first year of college studying for a degree in sociology. 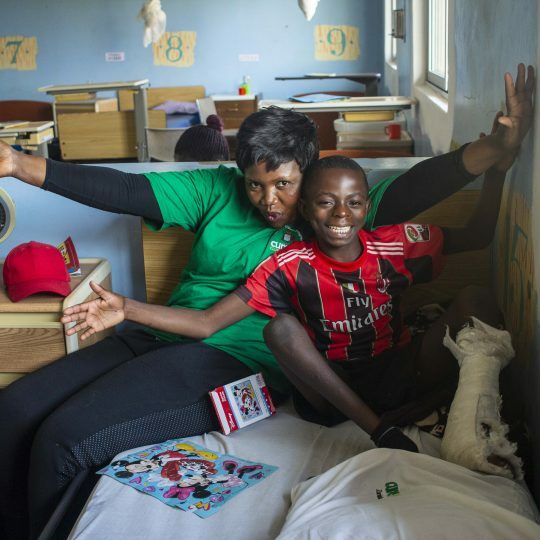 I can play soccer, and I can be out with my friends without feeling like I don’t belong,” said Kabirou, with tears in his eyes. 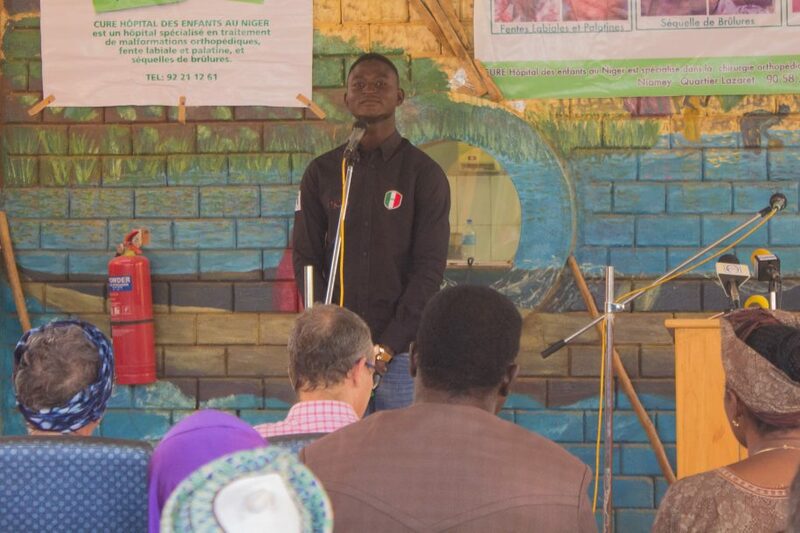 Kabirou, CURE Niger’s first patient, shares his story. After the speeches, we fellowshipped together with food and drinks, and we thought about how CURE has come and about how much more we will be able to accomplish in the years to come. 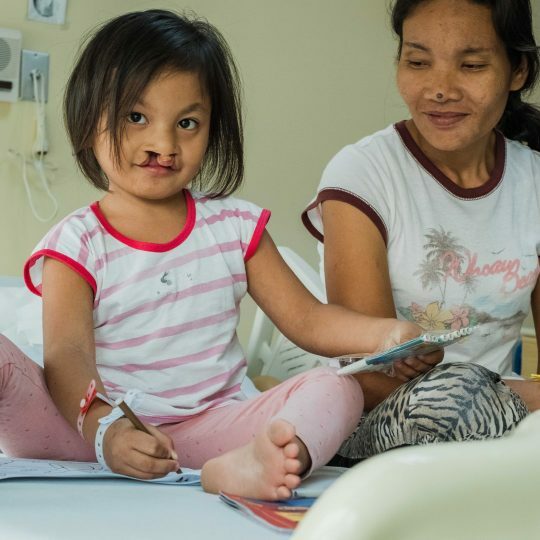 CURE Niger has completed roughly 5,000 surgeries throughout the eight years we have been in operation. These numbers are more than just mere statistics: they are a representation of lives changed not only here in Niger, but all over the West African region. 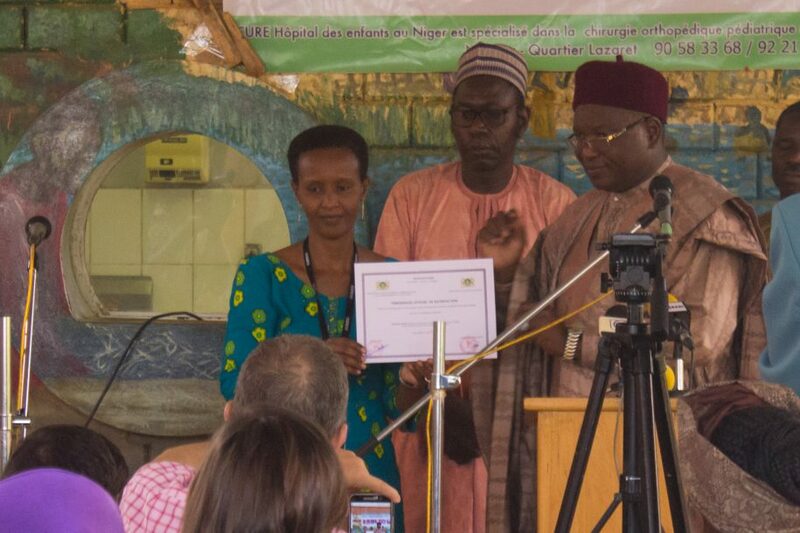 Dr. Diane Nahiman, an anesthetist, receives an award from Minister of Community Development Abdou Amani. Procurement and Public Relations Officer Hassan Hamani receives an award from Minister of Community Development Abdou Amani. 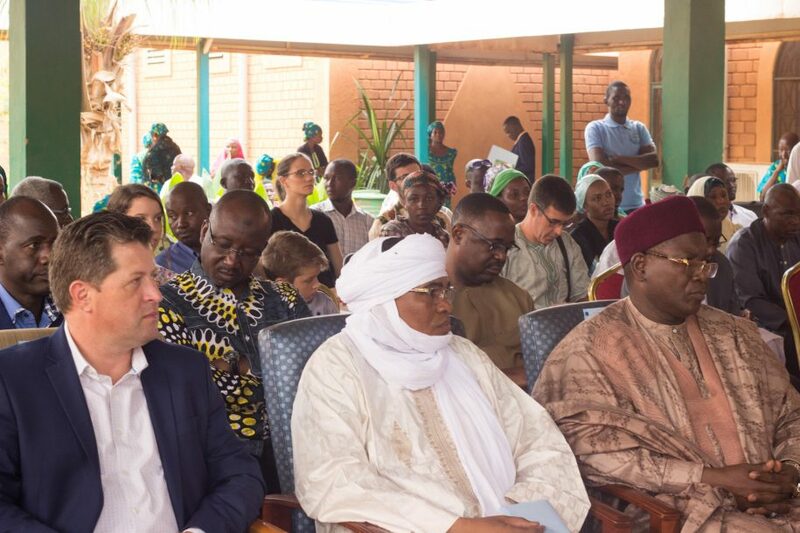 Incoming Executive Director George Găvruș, Niger’s Minister of Community Development Abdou Amani, and Niger’s Director of the Health Ministry Cabinet Ismaril Anar Zakara listen to speeches given at the ceremony. CURE Niger Storyteller Joel Witwer dances with Mahamadou after the ceremony. Joshua Korn (outgoing Executive Director), Dhiallo (Chef), and Dr. Greg Bellig (Chief Medical Officer) pose for a photo after the ceremony. 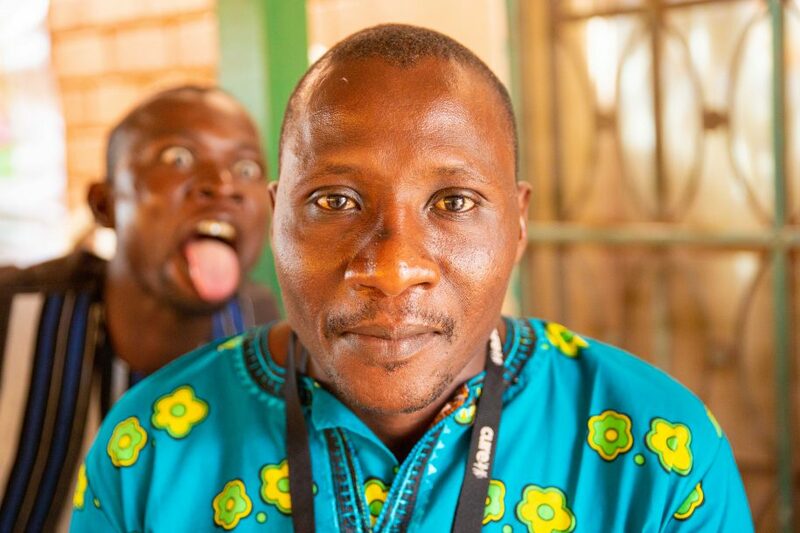 Facilities Manager Youssoufou photobombs Agali, janitor. 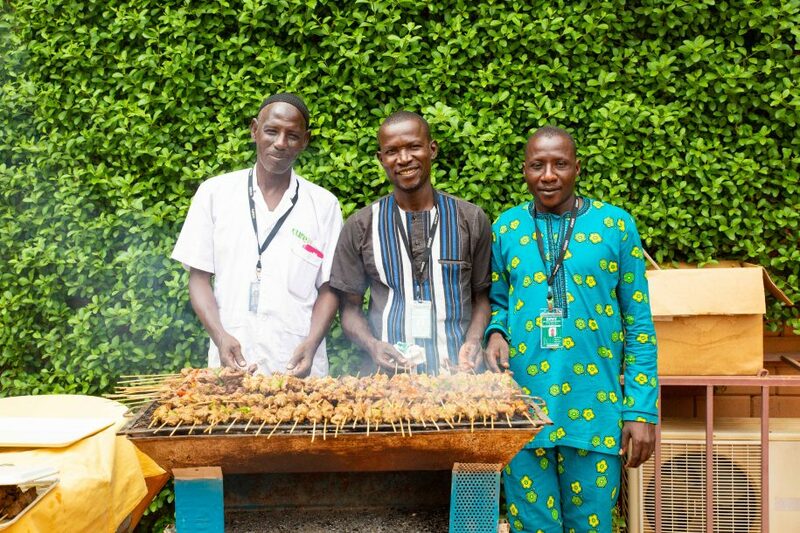 Djiallo, Youssoufou, and Agali cook brochettes (kebabs) for the meal after the ceremony. My title says that I'm the Lead Storyteller, previously Storyteller for Niger, previously CUREkids Coordinator in Zambia. All this really means is I hang out with kids and sometimes take photos. I love these kids thus I love my job. My goal is to translate this love into pixels and words so that you can fall in love as well!